Buying or financing a used vehicle can be a smart investment, but how do you know the reliable used vehicles from the lemons? 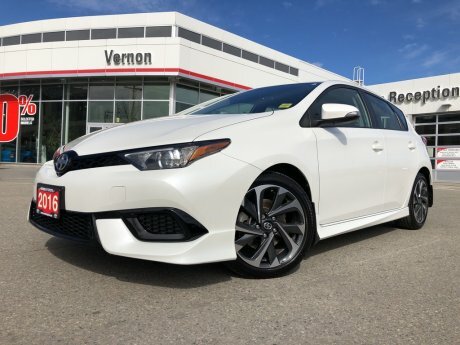 Vernon Toyota’s Certified Used Vehicle Program is designed to take the risk out of buying a used vehicle. In order for any used car, truck, van, or SUV to be certified, it must pass an extensive 160 point quality assurance inspection. Browse our selection of certified used vehicles below, we’re bound to have the certified Toyota vehicle that will suit your needs and budget. What is the difference between used and Certified Pre-Owned vehicle? Buying or financing a used vehicle from a random dealership or garage can be risky. Other than a basic safety inspection, there is little that has to be done before a used vehicle is resold. If you buy a car from a nameless garage, it may drive fine for a few months, but down the road you can run into major, expensive repairs. Toyota Certified Used Vehicle Program, on the other hand, ensures all our certified vehicles go through a 160 point inspection. Beyond the inspection, each certified Toyota vehicle comes with a minimum 6 month / 10,000 km powertrain and roadside assistance coverage; a 7 day / 1,500 km exchange privilege, along with many other benefits meant to give you peace of mind when driving your car, truck, or SUV. Contact us anytime with questions about our Certified Used Vehicle Program. To find your next quality used vehicle, browse our certified inventory below.